The exciting festival “Light City” took to the streets of Baltimore this month, in the city’s most spectacular yearly event. One of the biggest reasons of its popularity, is the beauty and change it brings to the city. There are lights throughout the whole city, with businesses in downtown Baltimore adding lights to their huge skyscrapers to join in the celebration. Companies like BGE and Whiting Turner had some of their own exhibits that promoted art and sustainability with their light displays. Thousands of people gather around the harbor to see these exhibits, which spread from Federal Hill all the way to Harbor East. Why is it so unique? It’s one of a kind! Light City is the first large-scale, international light festival in the United States. In 2016, it welcomed over 400,000 people from across the globe in a seven night span. And not only is it the only one in U.S. it is also a completely free event, unless you want to indulge in some food and drinks while enjoying the sights. Some of the sights that were on display were illuminated sculptures, projections, concerts, and interactive technologies. For example, there was a music and light display that allowed you to change the way the lights moved, and change the pitch of the music with just the movement of your hands. 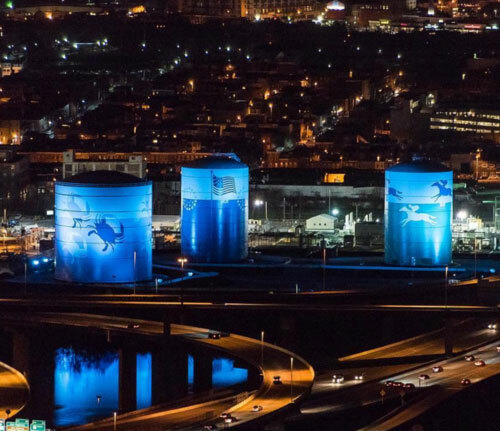 Light City has just completed their second year in Baltimore, and the city has also just settled a lawsuit that arose from their ex-partners trying to use the phrase in their own marketing efforts, when the city believed it belonged to them. Baltimore tried to sue the ex-Light City partners for trademark infringement back in October. However, just this week, Baltimore ended up settling with these ex-partners. Judge Ellen L. Hollander issued a settlement order dismissing the case, including all counterclaims as well. The details of the settlement have not yet been released. Even with the small lawsuit, Light City is a spectacular event that Baltimore is and should be proud of. It will be a staple of the Baltimore community for years to come, and anyone who has not attended, should proudly stop by next year. Why is it important to create your will?